For the fourth election in a row, Shad Qadri is facing only one challenger for the councillor's chair. 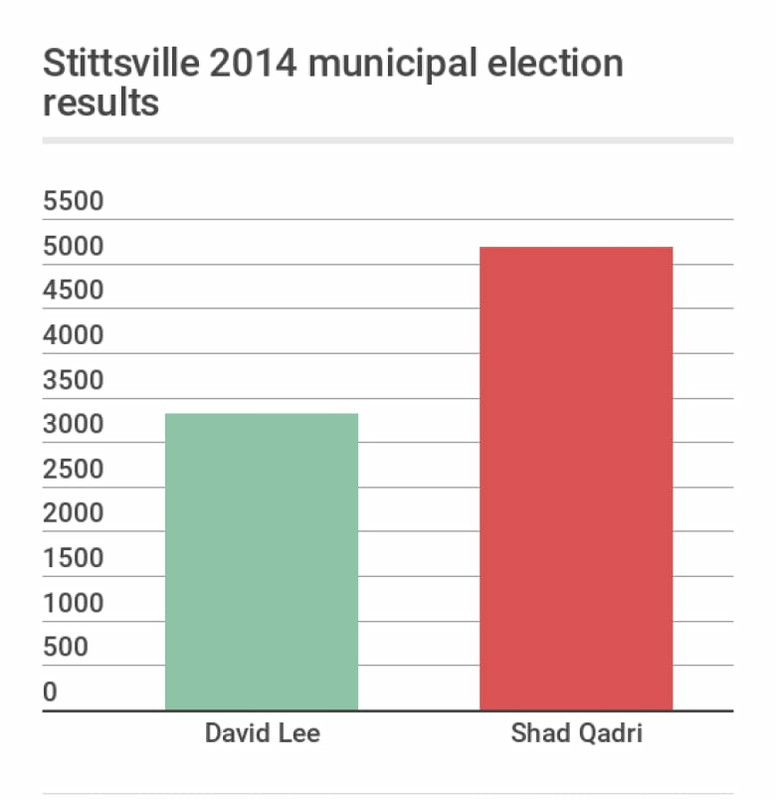 Qadri was first elected councillor for the Stittsville-Kanata West ward in 2006, having secured 72 per cent of the vote with one opponent. In 2010 he increased his share of the vote to 91 per cent, again with one opponent, and in 2014, Qadri beat David Lee with 61 per cent of the vote. This time he is facing off against Glen Gower, a longtime volunteer in the community. 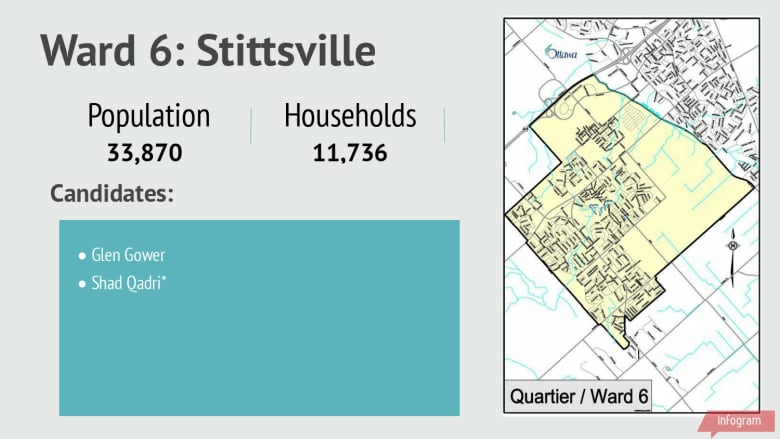 Stittsville's population is expected to double in size in the next few decades with big residential developments, and there are also long-term plans for the LRT to run to Stittsville.